After being established for over 30 years, Grandisson Stoves showrooms in Ottery St Mary have grown to be the largest and most comprehensive in the South West. With years of experience in stoves and fireplaces. Grandisson Stoves are hetas and gas safe registered with all installations completed by the company’s own fitters, after a free survey and written quotation. 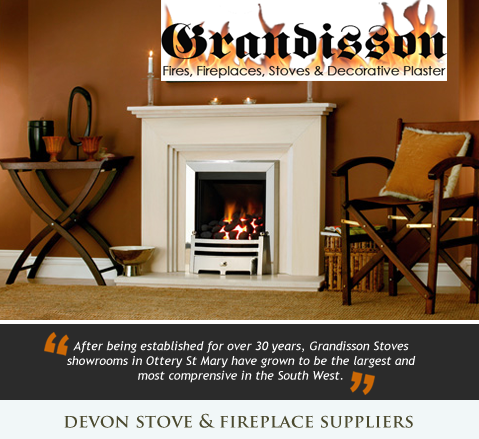 Grandisson Stoves can supply and install fireplaces and stoves through the East Devon area. Grandisson Stoves are also a leading supplier of decorative plaster mouldings in the South West region, offering a full matching and restoration service.